If you have ever wondered what it’s like to take to the water on a luxury Princess motor yacht there are some excellent reviews, reports and videos which you will no doubt enjoy. In spring 2017 Yachting Magazine revisited the classic Princess 75 Motor Yacht. 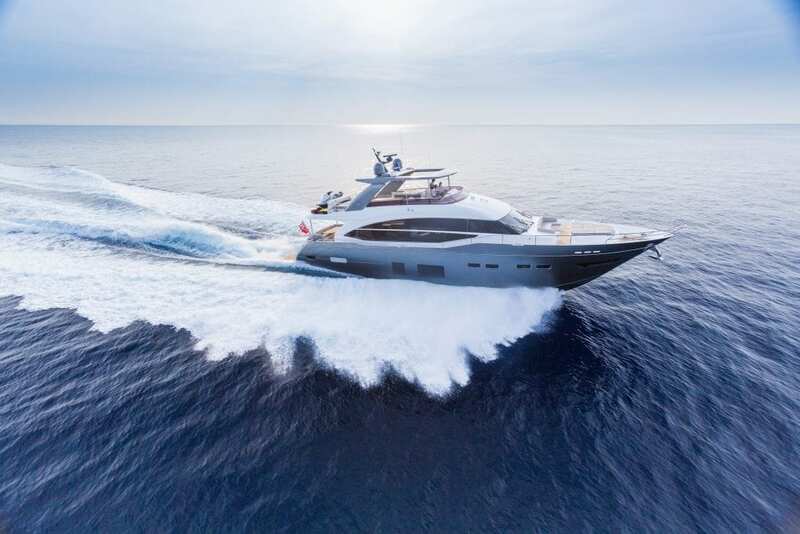 Back in 2004 the Princess Y75 had become a big hit in the demanding American market so there were high expectations when the craft underwent an update. The Princess Y75 is spacious with an expansive swim platform that also works as an auxiliary deck. It’s big enough to take a 13-foot tender, ideal for island hopping. Or the flybridge davit can be used for the tender, freeing up the hydraulic swim platform so that it can be used as a beach club, great for entertaining. 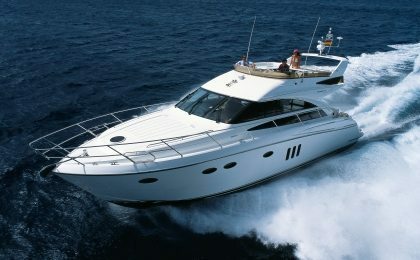 In fact there are many superb attributes of this exceptional luxury yacht which make it great for entertaining. The huge saloon features floor to ceiling windows which maximise the use of natural light and provide an awe-inspiring panoramic view. In the saloon, the cockpit furniture can deliver open living or space for an intimate dinner with its clever sliding design. 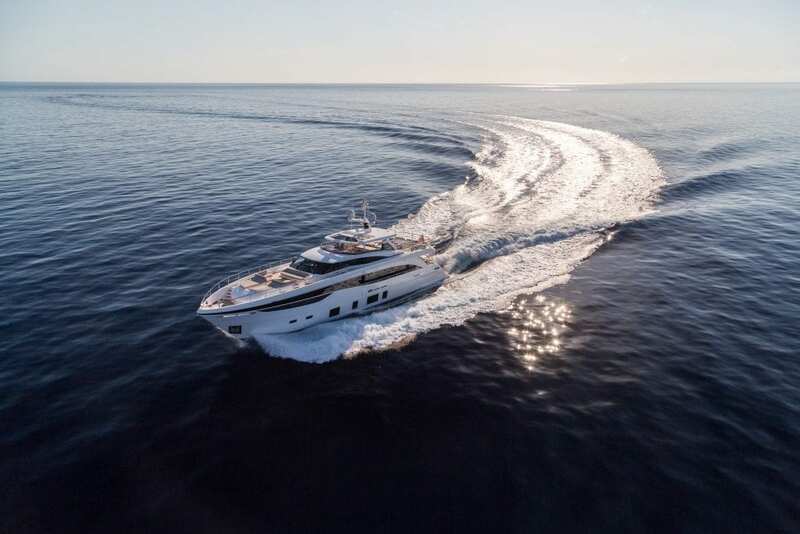 The Princess Y75 boasts three luxurious ensuite guest staterooms. The panoramic hull windows continue to be a feature in the master and guest stateroom providing great views and contributing to the overall airy, spacious feel throughout the yacht. On the technical side, one of the stand-out features is the Starboard control station which helps take the stress out of docking. 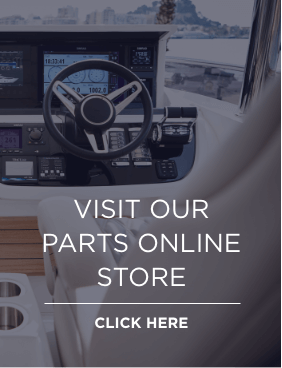 The flybridge is comfortable and exceptionally well equipped. Various propulsion options can be chosen with twin 1,800 hp MAN V-12 engines capable of speeds up to 36 knots. Back in September 2017 a video was released featuring a family enjoying life on board Plymouth luxury yacht builder’s award winning Princess 35M. The video shows a family enjoying the spacious, luxurious accommodation, and the crew can be seen preparing food in the well equipped galley and serving drinks in the saloon and on the flybridge. You can even see the boat’s captain and navigator plotting a course and the engineer carrying out some routine engine checks. The video highlights many of the great features of this exceptional luxury yacht, including cabin space for up to 10 people and exquisite interior design. The family are seen making the most of the yacht’s facilities, swimming in the turquoise Mediterranean seas off the coast of Mallorca from the generous swim platform and enjoying the various social areas. This video perfectly demonstrates why the award winning Princess 35M is considered the ultimate family-oriented superyacht. In Jan. 2018 Motorboat and Yachting magazine published a wonderful article from Princess yacht owner Robert Prevezer describing how he relocated from Beaulieu (in the south of France) to Italy. The article describes how Robert had purchased a Princess 54 motor yacht, three years previously, in order to enjoy more extended cruising. Robert describes the varying and quickly changing weather conditions encountered on their voyage along the Italian coast. He talks about cruising at a steady 20 knots on completely flat seas as a wonderfully relaxing experience. He also talks about how driving the Princess 54 from the flybridge for many hours helps him to remain alert while listening to the hum of the engines and the sound of the sea. 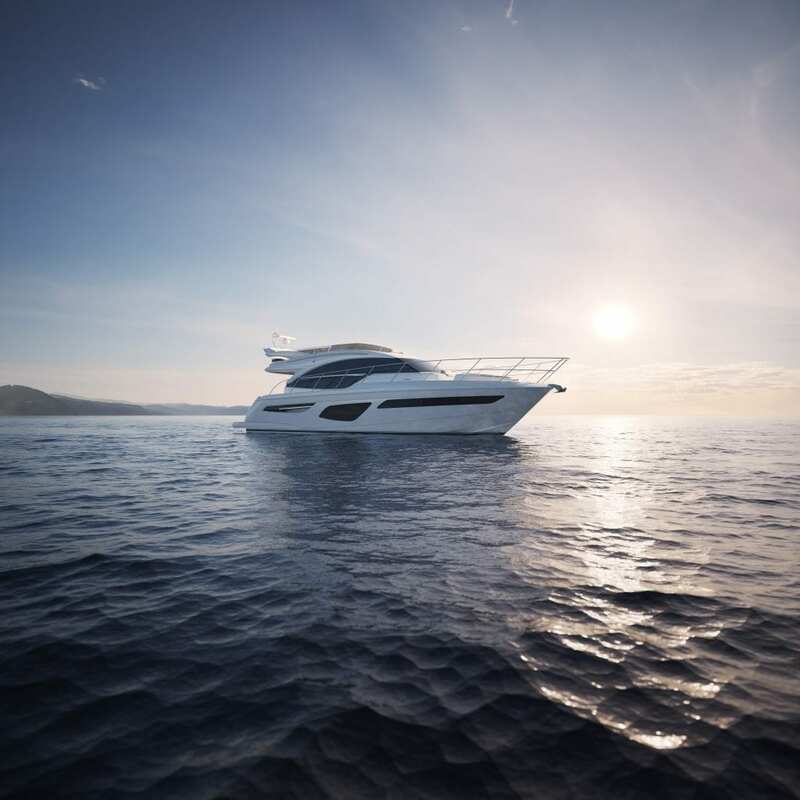 Debuted at the Southampton Boat Show in September 2017, the Princess 55 received a great review from Motorboat and Yachting magazine. The article describes how there is stiff competition for motor yachts of this class. The Princess 55 side decks are noted for their good size and the provision of full length safety rails and robust hand holds help to make this an easy boat to crew. Decks are all easily accessed, crew accommodation is comfortable and it’s easy to reach the engine room. The flybridge is a well thought size with plenty of flexible seating, ideal for entertaining. The central helm position is noted as big enough for any helms person and described as a fantastic driving position. The Princess 55 is considered a fun boat to drive due to the central helm position, the layout, equipment and adjustment capabilities. It was observed and noted that lots of attention to detail is what really separates this craft from others in this class. For example, superb, unobtrusive lighting, stitched leather upholstery and leather handrail covers accentuate the luxurious aesthetic.